Shipping is free for all orders for Bonds & Me members. Not a Bonds & Me member? No problem, sign up here! For non-members we also offer FREE standard shipping Australia-wide on orders over $49 (excluding eGift Cards, which don't require shipping) or for $5.95 on orders under $49. Express shipping is $9.95 Australia-wide. International shipping charges vary (see below). In Australia we use Australia Post eParcel to get your goods to you. Once your order has left our warehouse, standard delivery can take up to 7 business days. Please allow an additional 5 business days for personalised items to be delivered. International deliveries can take longer. During peak sales periods, express shipping is temporarily unavailable. We apologise for any inconvenience. As soon as your order has left our warehouse, we'll send you a shipping notification email to keep you in the loop. For Australian deliveries the email will contain your eParcel tracking number so you can track the progress of your order through the Australia Post website. Track your order via Facebook. Ask our new Bonds chat bot on Facebook Messenger for the latest delivery updates on your order. Launch Now. No probs! We have three convenient options for you to choose from if delivering to your home or work isn't possible. Click & Collect is a free service that allows you to order online and collect from your preferred store. Simply add your items to your shopping bag, select Click & Collect from the options at checkout, choose your preferred store and complete your transaction (personalised items are excluded from this service). You'll then receive an email confirming your order and be notified of when your goods are ready for pick-up. There are no delivery charges and it means you don't have to wait around at home for your order. Plus, you can try on your goods in store and if you don't like them, or they don't fit, you can return it on the spot. Too easy! ❗ During this busy period Click & Collect is currently unavailable. Australia Post's secure 24/7 Parcel Lockers offers an easy and convenient alternative. To select this delivery option at checkout, you must first create a free Australia Post MyPost account. Once you've created your account, you can select this option at checkout (personalised items are excluded from this service). You don’t need to pay for using the Parcel Locker and delivery is free for orders over $49 or for $5.95 on orders under $49. If you have any questions, please contact Australia Post. Another option is to have your order delivered to your local Post Office. You can select this shipping option and your preferred Post Office by entering your postcode during the checkout process. Delivery is free for orders over $49 or for $5.95 on orders under $49. Please note that currently these options are not available where you check out through our Bonds & Co multi-brand checkout. Available at all Bonds & Bonds Kids stores Australia-wide (not available at Bonds Outlet stores or independent retailers). Click here. to find your nearest Bonds store. ❗ During this busy period Click & Collect is currently unavailable. Yes! We deliver to the countries listed below; simply enter your address during checkout. International estimated delivery timeframe is up to 14 business days. 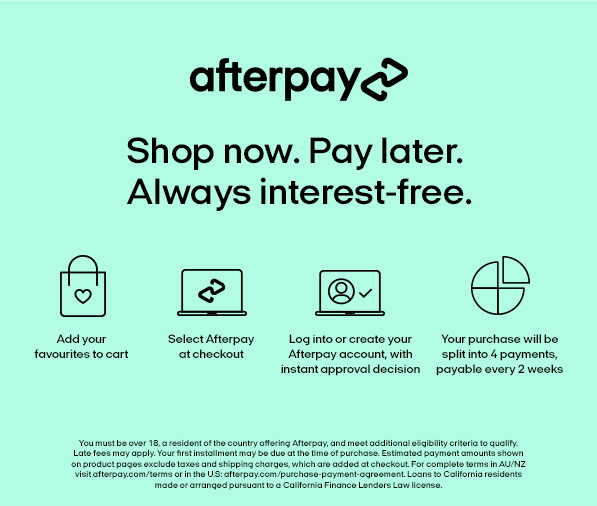 Please note that if you purchase through our Bonds & Co multi-brand checkout by adding products to your cart from one of our other Bonds & Co sites (bondsoutlet.com.au, berlei.com.au, championusa.com.au, jockey.com.au and playtex.com.au), we currently only ship to Australia and New Zealand. WHAT'S THE DEAL WITH INTERNATIONAL TAXES AND FEES?